‘The fact that fungi can grow so quickly makes them fascinating,’ says Newcombe; ‘they typically grow in two to three days depending on the environmental parameters.’ For some species like the stinkhorn ‘they can take just a matter of hours,’ he says. The fungal kingdom consists of a wide range of organisms that differ in their size, shape and colour, and in their means of reproduction and spore distribution. 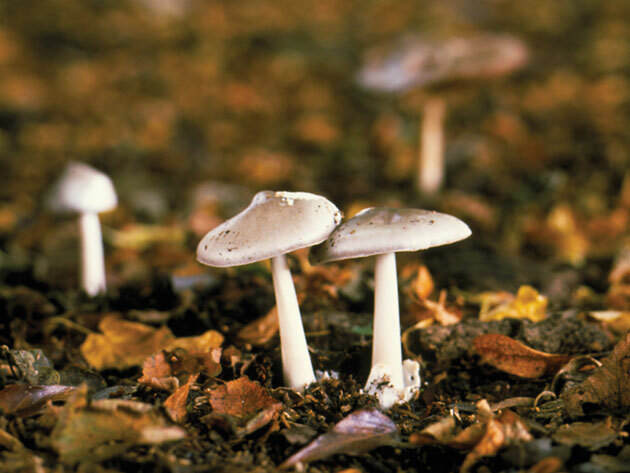 You could hold up two mushrooms that are identical to the naked eye, but on closer inspection find that they are two different species entirely – one edible, the other poisonous. It is only when you take a closer look at the spores using a microscope that you can identify the species accurately. ‘The spores are uniquely coloured, patterned and sculpted for each species, where some of them also undergo specific chemical reactions as well,’ explains Newcombe. ‘In the field there is often a limit to what you can do in terms of identification, as sometimes you can only recognise the genus until further tests can be carried out back in the lab. only once you’ve looked at the spores in more detail and carried out some chemical tests, can you truly identify the species and determine its edibility,’ he adds. No one really knows what mushroom colours are for, as they are not necessarily warnings. 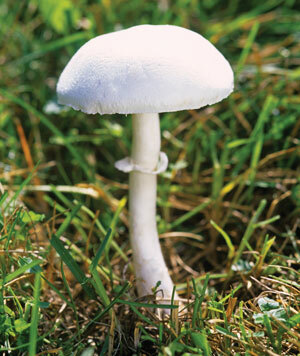 Contrary to popular belief, not all poisonous toadstools are bright red with white spots or warn you by their lurid yellow and green colours. Often poisonous mushrooms look like the edible varieties you might buy in a shop and therein lies the danger for the inexperienced forager.